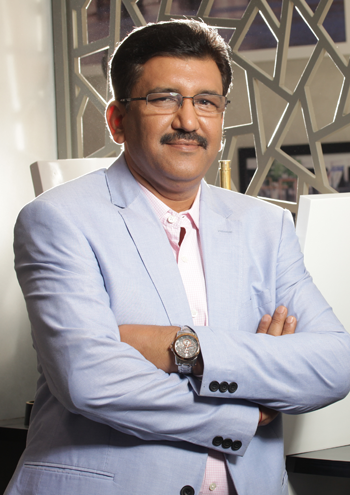 Anoop was appointed as a director for Kalburgi Cement in March’12. Subsequently in January’13 he took the responsibilities as Chief Operating Officer. And in July 2017, he was appointed as the Chief Executive Officer for Vicat India operations. He comes with a extensive experience of over 30 years in cement industry after serving at various capacities. He started his career with Lohia Sterlinger in 1985. He then joined ACC (a group company of Holcim, Switzerland in India). In his last tenure with ACC, he was heading a cluster in Karnataka having two integrated cement plants and two split grinding units. During his tenure, he led the organisation to an unprecedented growth in plant operations and achieved a significant turnaround of various low profitable units. He has a vast experience in handling large projects and has been instrumental in erecting & commissioning of “World’s Largest Clinker Production line” at ACC Wadi. His strength lies in his dynamic leadership . He has an excellent people management skills, decision making ability and team building traits. A versatile person with dynamic leadership qualities, strong business acumen, clear vision and passionate towards work and business. He firmly believes that no organizations can become result oriented unless people are fully engaged. He also believes in Speed, which is often displayed through his quick thinking and decision making, even in times of pressure. Having an exposure to Global Leadership, he believes in systems & process oriented approach. Under his leadership and having a long term perspective and vision, the group companies of Vicat in India are progressing by the day towards excellence. He represented India at the “Green Energy Implementation in Cement industry in India” at Yokohama, Japan. He has attended the Leadership Coaching at IMD, Lausanne, Switzerland and also at ISB, Hyderabad. He is a Mechanical Engineer from MITS, Gwalior and holds a Post Graduate in Industrial Engineering & Process Optimisation from National Institute in Industrial Engineering (NITIE) - Powai, Mumbai.